JOLIET, Ill. (WLS) -- A Joliet driver's education instructor resigned this week after he was charged with drunken driving, school officials said Tuesday. Nestor Nowak, 46, of Shorewood, taught at Joliet Central High School. The school board voted unanimously Tuesday to accept his resignation. Nowak was found "unresponsive" in a district drivers' education vehicle at about 7:20 a.m. April 6, according to a letter sent to parents. Students were not at school as it was a School Improvement Day. District employees called for an ambulance and Nowak was taken to the hospital. School officials determined that alcohol, not a health emergency, was the cause of his condition, the letter said. Nowak told administrators that he was in a treatment program and would not be released for some time. 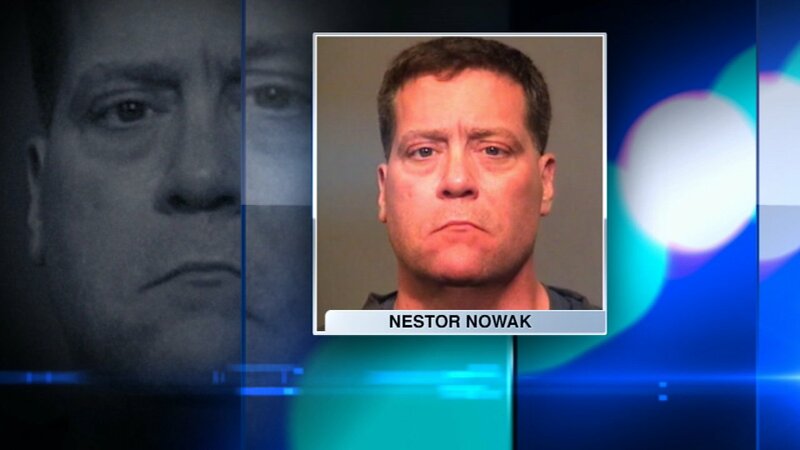 Nowak was charged with drunken driving last week and put on leave. In July 2014, Nowak pleaded guilty to a separate drunken driving charge. Superintendent Cheryl McCarthy said the district was "not made aware of that incident." In the letter to parents, McCarthy also said: "At this time, we have no evidence to indicate that Mr. Nowak was ever under the influence while he was teaching behind-the-wheel to District 204 students. However, we encourage any persons to come forward who may have information to the contrary. Our investigation continues and when we have additional information we are able to share, we will do so." Board of Education President Jeff Pierson said during the Tuesday meeting that the district will review district policy and procedures regarding employees who drive district vehicles.